Indie Retro News: Hera Primera - Juno First clone on the Vectrex looks awesome! Hera Primera - Juno First clone on the Vectrex looks awesome! I have a bit of a soft spot for the Vectrex ever since I played one some years ago at the GEEK event in Margate, so you can probably see why I'm just that little bit excited for Peiselulli's latest shoot em up ' Hela Primera ', that is in development for the Vectrex. Now if you've ever played Juno First by Konami in 1983 then you know what to expect with Hela Primera, as this rather cool blaster is actually a clone of that classic game. 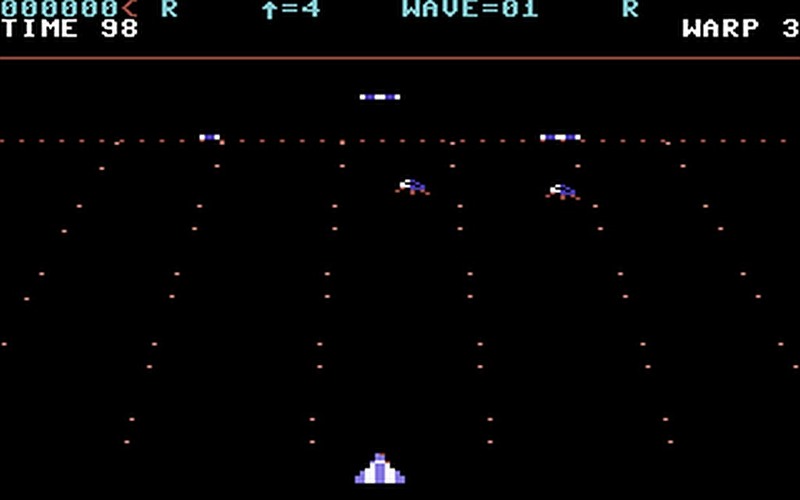 It has all the vertical-scrolling, enemy waves and blasting action intact, and damn does it look seriously good on the Vectrex. So far we don't know alot about the game as it is still early days, but from the rather poor smartphone video shown above shared by Oliver Lindau, it really does look like a damn fine Vectrex game and one we cannot wait to play even if the soundtrack might be different upon release.